This bandi is located in Mozzamjahi market opposite to Karachi Bakery. The operation hours are from 3:00 AM to 8:00 AM in the morning. No matter at what time of the night you visit this place, it is always crowded. He serves idlis and different varieties of dosas along with chutney. The idlis are soft and served steaming hot. Along with palli chutney make a good combination. The star dish from this place is the double cheese dosa. It is made by adding slices of cheese, upma, ginger chutney, onions, tomatoes, coriander, podi and ghee. The taste of the double cheese dosa is just amazing and will bowl you over with the very first bite. I would rate the cheese dosa one of the best available in Hyderabad (even better than Govind and Lakshman dosa). I highly recommend this place. This place in Yousufguda was started by an ex-employee of Purna tiffins. It is located in Krishna Nagar near Purna tiffin, and is much cleaner than Purna tiffins and has a better feel. The tiffins served here are similar to Purna but will cost you much less. I have been frequenting this place more regularly ever since it opened. The people who run this place are much more warm and friendly compared to Purna which has become very commercial in terms of price and service. Coming to tiffins, the size of idlis here are much bigger than Purna. All the items in the menu are much more economical. Other items that are great at this place are idlis, poori/subji. When it comes to chutneys and dosas, it is not as good as its more illustrious neigbour. Located near Panjagutta crossroads, I was recommended this place by Chowder Singh, a well known food blogger. It is a very small roadside stall located in one of the busy bylanes surrounded by shops. They offer the regular south indian food like idlis, dosas, etc. 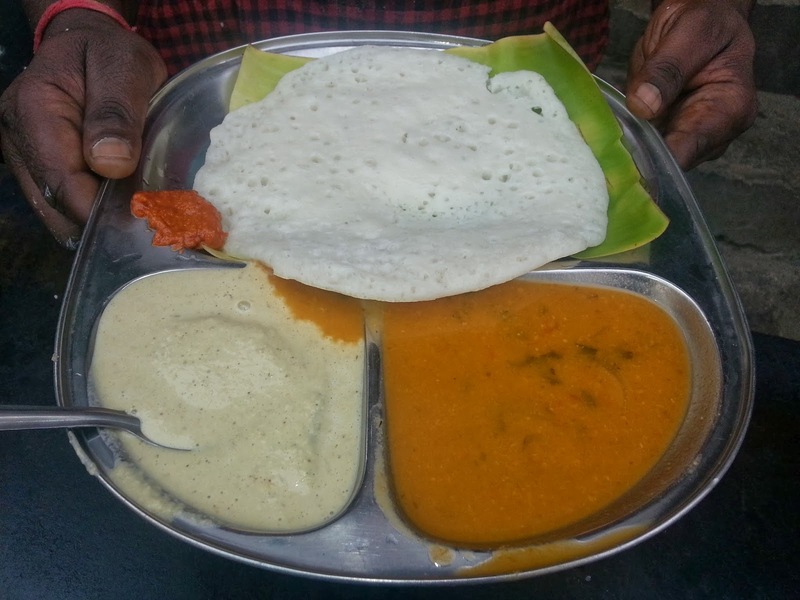 The main specialties of this place are the guntur idli and steamed dosas. 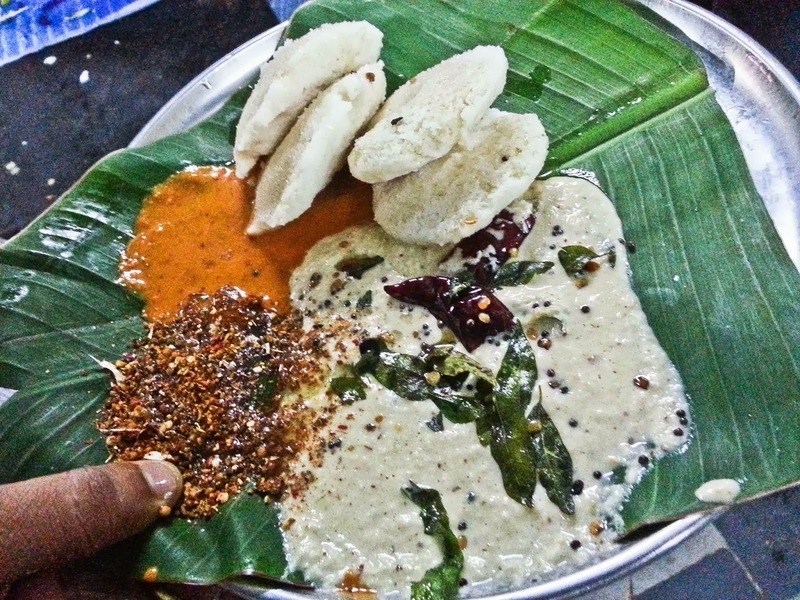 Guntur idlis are regular idlis topped with gun powder and ghee. They generous topping of gun powder adds a little spiciness to the otherwise bland idlis. Another of their favorites is their steamed dosa. Steamed dosas are made by covering the dosa with lid so the steam generated cooks the dosa. These dosas are thicker, softer and fluffier than regular dosas. The steam dosas at this place are great and definitely worth trying. Yousufguda is the place to visit during late evenings and nights for some good tiffin bandis. 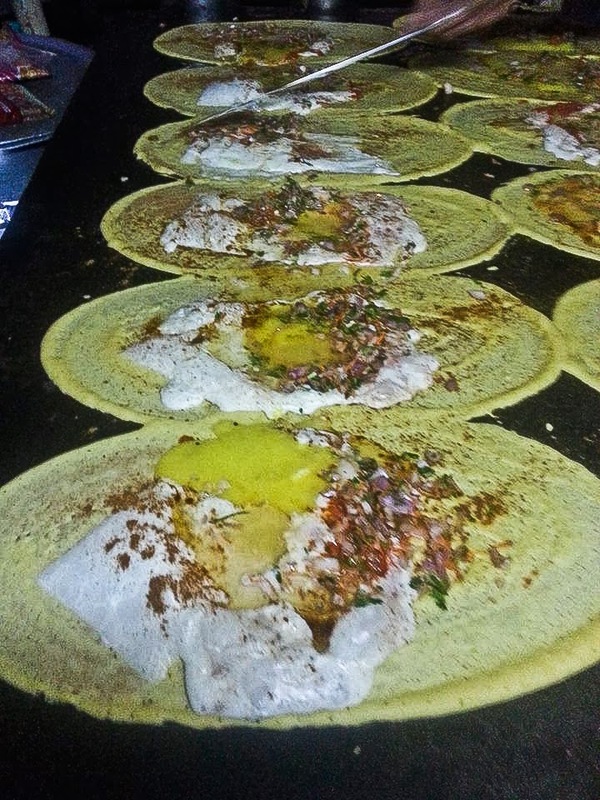 The bandi which is very popular in the area serves amazing egg dosas. 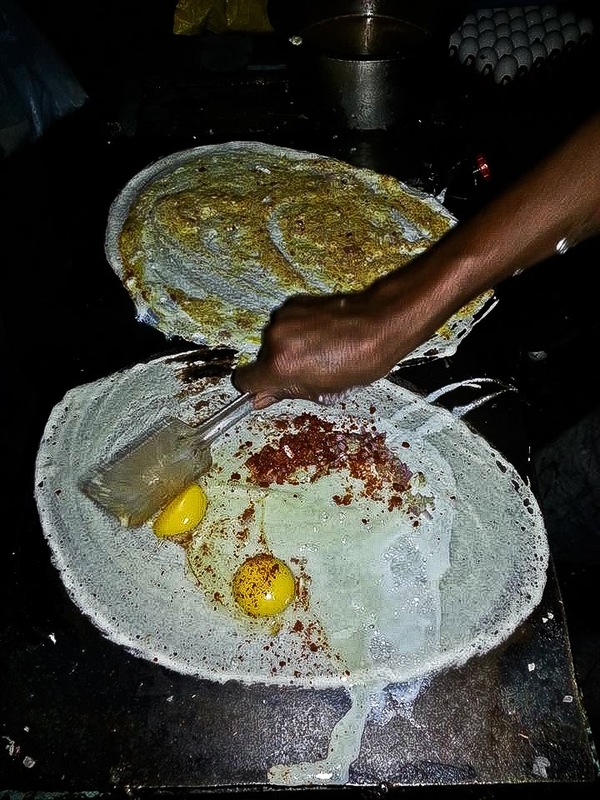 The dosa is topped with egg, onions and generous serving of gun powder. Combined with spicy coconut chutney, they make a heavenly combination. Though the food is great, this place is usually very very crowded and you will need to push your way through to ensure you are served. In spite of the downside, this is a good place to try for those who have late night food cravings. Ram Ki Bandi: Near Karachi Bakery, Mozzamjahi Market, Nampally Open from 3 am to 8 am. Mahalaxmi Tiffins: Lane next to Diamond Food Zone (Opp Y2K restaurant). Very close to Panjagutta X Road. 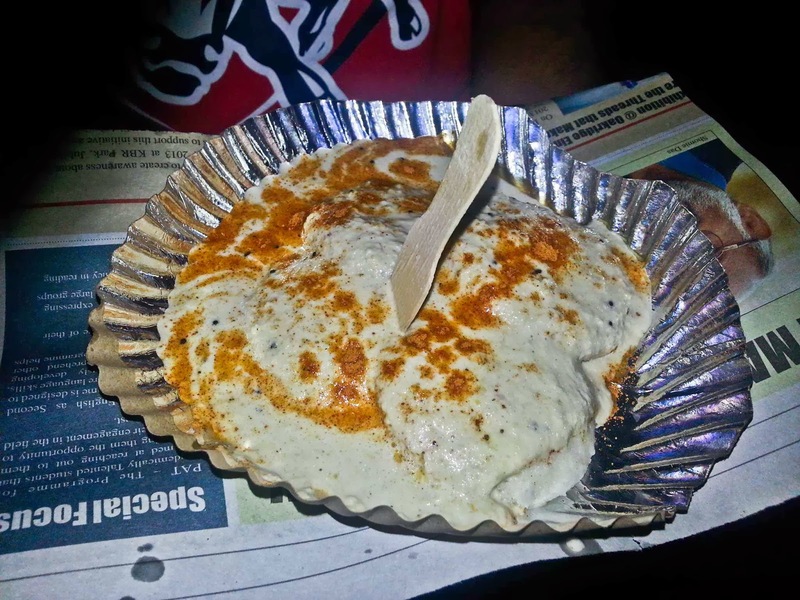 Yousufguda Egg Dosa bandi: Yousufguda Main Road. There are multiple places serving egg dosas, but I like the place run by two ladies. @Rampras. If you have not tried Ram ki bandi, do try it. Great dosas! Govind dosa was good in sec bad. 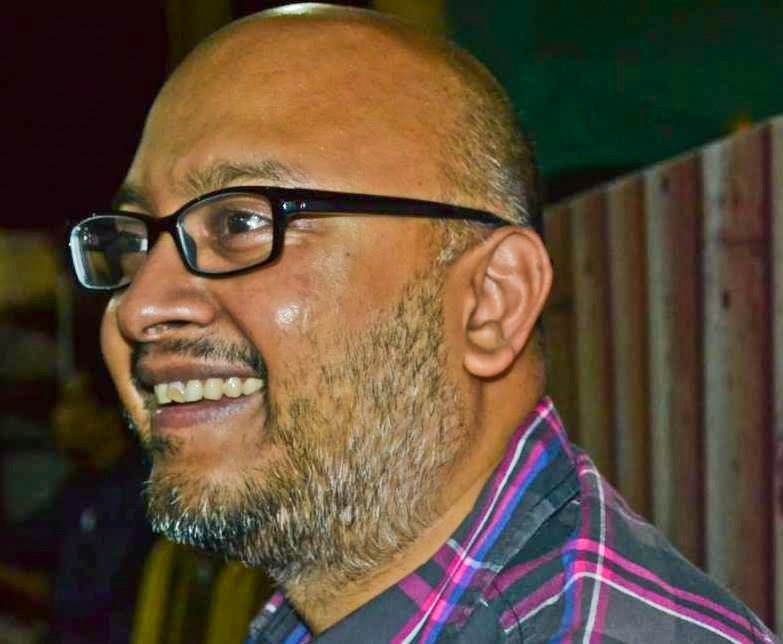 Raj Vuppala, I left a happening "group" because of your posts! Now you have come back to haunt me. No, but, seriously all the places you mentioned are perfect. Mahalaxmi Tiffins is something I agree on. Its way better than Poorna. There are many hotels on Yousufguda mainroad if you can specify the name that will be awesome.